This is my first PC build coming from purely console gaming and most recently the PS4. In all, this build was successful and I learnt a lot through the process as before I had no practical experience but my mate was there to help. It follows a black and white theme with multi-colour RGB all primed and set for me to take to uni. Comments welcome. - First off all I was thinking of buying a GTX 1060 gaming laptop... HA glad I scrapped that crappy idea. So I thought "if I'm going to build my own gaming RIG what's the MINIMUM I need to play games at at least medium settings?". THANK GOD I threw any concept of minimum price and medium setting out the window. The more I thought of what to do the bigger I decided to push my budget untill I thought... RGB! This is the result of my procrastination (°ー°〃) aaaand I'm still going to probably add more RAM and an RGB power connector when I come back from holiday. The gaming mouse has four customisable controls on the left and adjustable weight you can change by adding or removing little silver weights. It has 4 adjustable speed settings and full customizable RGB. The top is matted a super soft material and the scroll wheel is ridged for maximum traction. Motherboard The BIOS it comes with is the most recent, wow, and it's specs and hardware beats most, if not all of the X470 motherboards I have seen. The overclocking potential is as good as the Carbon card looks. Sensational. PSU With such high wattage, a Gold 80+ rating, braided cables and an Eco mode, this PSU performs excellently yet sounds like... well nothing seeing it is yet to spin its fan. Installation was easy as it should be but man is it heavy. CPU The AMD Ryzen 5 2600 is a great multi core CPU that handles tasks with a breeze. I have successfully overclocked the CPU to 4.025 Ghz from 3.4Ghz and it is running stable. CPU Cooler Antec's Mercury 360 is a mixed bag. Installation to the CPU isn't what I would call the best and the manual is lacking but in the end I got it massively on sale, everything fits fine and it looks wonderfully, especially with the neon blue fans. However please note the temperature monitoring LED won't leave blue even in stress tests so if yours leaves blue then your CPU is on fire. Put it out. Memory This memory kit looks stunning, matching the black and white build. With a simple RGB software, customisation is easy, though if the software is not running in the background the lights on each RAM stick wont sync. I have overclocked the memory to 3200 Mhz. Video Card Gigabyte - GeForce GTX 1070 Ti 8GB Video Card Gigabyte's 1070 Ti OC edition is superb. I have boosted it in the BIOS and yet the fans barely spin (or don't at all) though there are 3 in case they are needed. The styling is clean and of high quality though the Fan Stop LED is obscured by the power connector unfortunately. Case Lian-Li - PC-O11DW ATX Full Tower Case I might as well call it God's gift for top gamers as this is the most beautiful, faultless, unique and high quality piece of craftsmanship I have laid eyes on, PERIOD. Taking it apart is a piece of cake, superb cable management, all glass and metal construction and filters everywhere. I'm in love. Storage With a 1tb SSD and a super fast HDD I have plenty of storage. 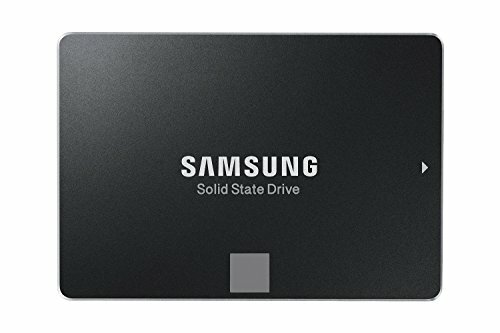 The SSD holds my OS and games and the HDD houses all other content. A pair made in heaven. Operating System Windows is Windows. It worked fine and I got it off eBay for cheap. Monitor 1440p, 75hz, all metal and sleek build DAMN is it good to look at. At 32 inches it really brings games and design work to life utilising top end colours saturation. No dead pixels, just perfection. Its incredibly heavy but to me that just means it's well built. CASE FANS The only part of the PC I can hear haha. They are not what you would call quite but this is an overclocking case and isn't supposed to be silent anyway. With an RGB controller to customise everything it shines like a dazzling star, pushing at maximum speed all the time... yh lol. GAMING MOUSE All metal with many short keys and adjustable weight, filled with RGB and easy change DPI with braided wiring, this mouse is special cough in the good way. GAMING MAT Fate anime series design, let my anime nerdyness leak through. The AMD Ryzen 5 2600 is a great multi core CPU that handles tasks with a breeze. I have successfully overclocked the CPU to 4.025 Ghz from 3.4Ghz and it is running stable. Antec's Mercury 360 is a mixed bag. Installation to the CPU isn't what I would call the best and the manual is lacking but in the end I got it massively on sale, everything fits fine and it looks wonderfully, especially with the neon blue fans. However please note the temperature monitoring LED won't leave blue even in stress tests so if yours leaves blue then your CPU is on fire. Put it out. This memory kit looks stunning, matching the black and white build. With a simple RGB software, customisation is easy, though if the software is not running in the background the lights on each RAM stick wont sync. I have overclocked the memory to 3200 Mhz. Amazingly fast. Boot iltimes are in 20 seconds and files open swiftly. I recommend. Gigabyte's 1070 Ti OC edition is superb. I have boosted it in the BIOS and yet the fans barely spin (or don't at all) though there are 3 in case they are needed. The styling is clean and of high quality though the Fan Stop LED is obscured by the power connector unfortunately. Windows is Windows. It worked fine and I got it off eBay for cheap. 1440p, 75hz, all metal and sleek build DAMN is it good to look at. At 32 inches it really brings games and design work to life utilising top end colours saturation. No dead pixels, just perfection. Its incredibly heavy but to me that just means it's well built. Wow dude, great job on the build! Thanks! The case is very well made with cable management being clearly a high priority. I wanted to do RGB but not in the colour puke explosion usually seen in many builds. Stress tests maxed the CPU at 79 degrees Celsius thanks to the CPU cooler and the case fans keep the GPU so cool the GPU fans hardly ever spin even when the card is in OC mode. The case is one of my favorite parts, it's open, nice glass, and you count mount a lot of fans on the bottoms/sides. Your temps seem to be working really good as well. I really like the case because you can mount the PSU on the side where no one really sees it. Which is always a plus, keeps everything real organized! Some serious overclockers like to use one PSU for the Motherboard and a second for the GPU, so they have independent power supplies and a heavy load on one doesn't cause voltage droop for the other components. Wow. First time I have heard of that. Would you say it's worth it? Wasn't sure if I wanted the pc-011, but this build settled it. Nice job! How did you afford all of this? 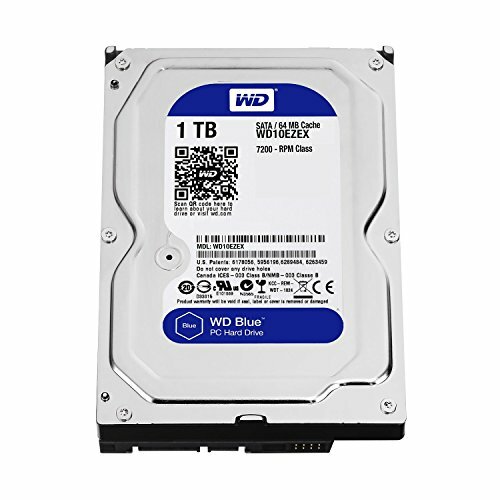 It says your build is about $1500 USD but there’s no way, tell me if I’m wrong. PC Parts Picker doesn't show all places to buy and neither does it show all items you can buy. My motherboard for example isn't even on PC Parts Picker even though it's the best B450 in quality. So about how much does this really cost, even with listed parts it was way more than partpicker said? Wow. That's really not as expensive as I was expecting this build to be. How much were you expecting? OMG I'm featured! Thanks for the comment! Thanks a tonne! What's the CPU you are waiting for? LOL! Don't they need like SUPER specialised motherboards? Oh crap... if I knew this I might have waited to build LOL. Cant be that bad though. My Ryzen 2600 never maxes and is fine. I'll probably get one when Navi is out. Ok google, define, Cable management. Yeah. Rryhming boosts my FPS by 2.6% and slightly overclocks my RAM. That case and fans are pretty sweet. I also didn't know Antec made an AIO. Great build man. Any chance you can fit the PS4 into a PC case? I've been debating on it lol +1 for the build and feature! Still faster than a PS4 haha. Thanks man. A pleasure to be a part of this elite domain. There can only be one master race. Seems it paid off XD. Appreciated! Nice Aesthetic here! Good job. Was wondering if people would think the RGB was OVERDOSE but glad it isn't! As an Old Time PC gamer and Builder I have to say HYPERCELL. Machine of the Future by New Void is the best I have seen in a Long Time Everything fits Perfectly and Looks Stunning in a 5 Star Review I would give it 5 Hands down Best I have seen in 10 Years Good Job New Void. P.S New Void don't listen to these Young Gamers as they Talk down to You it's just that there Jealous that You Built a better System than there for less keep up the good work hope to see another one soon. Thank you, that was honestly heartfelt. This PC is the jewel in my room and I am glad the community likes what has been created. I intend to build a Micro ATX next, whenever that may be, but whatever it is, I will aim to make my second build the best build I can create. Though for you to say the best in 10 years is truly an honour, for my first build it breeds confidence in my abilities. This is gorgeous! My only concern would be that it doesn't look like you have any intake fans? The bottom 3 fans are set to intake and the sides and top are set to out. The top cools the radiator and the side cools the SSD and HDD. Ah yeah I can see now, I was being blind! That is really something though, for a first build too! Love the RGB. Bruh, how loud is it with all those fans? "Beats most if not all X470 I have seen" Did you mean B450? Because I'm sure my Taichi Ultimate would demolish that board. Regardless, congrats on the feature and glad to have you here. ʕ•̀ω•́ʔ✧ The cables started the war and I finished it... Permanently! Clean and absolutely stunning build! Also where can i get a mouse pad like that? I use to have that keyboard. Tons of Chinese brands re brand it but they're all the same. it uses content blue switches. Yes the manufacturer is called content. They're not bad and I honestly prefer them to kale switches. Really? Content? What a name haha. Why do you prefer this over Kale switches personally? The content blue switches actually felt really smooth. The keyboard its self felt well built with the aluminum top and I never had any issues with it. The only reason why I got a new keyboard was because I wanted red switches and to be able to customize it more. My friend had a keyboard with brown kale switches that felt kind of scratchy in comparison to the content switches. Yeah I find it the same. I went to Currys PC World and tried the keyboards on display and mine felt the best to be honest, even with those being top brands. When you say to customise it more can you elaborate? Well I got an anne pro with red switches. Its a 60% keyboard. you can basically switch out anything on it. For example I'm planning on fitting it in a wooden housing. I'd also like to get a new key cap set. That... is the coolest thing EVER. Looks great I'm impressed. The one thing I'm curious about in a build such as this is why you did not opt for a X470 mobo with everything else you have going on.. aside from the added price? There is also the fact that this matches the builds colour scheme, has super fast inbuilt WIFI AND Bluetooth! I see that you play Nekopara, another man of culture. If you don't mind me asking, who is your favourite catgirl? The best first attempt I've ever seen in years!!!! I'm glad your rig is featured since it looks well made. ♪┏(・o･)┛♪ I'm stunned. Thanks for the positive comment! I'm surprised you think so and has my pumped to try for a Micro ATX build next when I make a PC for my family! I'm sure it will look great just as this one or even better. I wish the best of luck to you. Wait can you please talk a bit more about the mouse? Literally any and all details you can possibly think of. Haha okay. It is a gaming mouse with four customisable controls on the left and adjustable weight you can change by adding or removing little silver weights. It has 4 adjustable speed settings and full customizable RGB. The top is matted a super soft material and the scroll wheel is ridged for maximum traction. Thanks! Any brand name? If not, where can you make your own like this? Haha I can't even read the brand logo. It's in the pics on my mouse. Look at that for to me it looks like alien language and I forgot the name. This is a robbery. I need that wallpaper. Excellent build, by the way! I really love the case and fan combination! The wallpaper is animated and uses Wallpaper Engine from Steam. Glad you like it all! It was only fate for you to come and see this. haha. I was thinking of keeping it spare and buying the Logitech G502 RGB Gaming Mouse. Opinion? Also, I don't see your build unfortunately on your profile. Sounds good. Will order one right away! Is there any way to mount a rad or fans to the front panel in this case? Nope, no way at all. It's just glass. Though I have no idea why you want to cover the glass. Minus one star for the anime background. WEEB. Oh man the PC-O11 can make almost anything look good, by far my favorite case on the market. Nice build! What voltage did you use to get to 4.03 GHz? A Vega 56 would have paired great with that FreeSync monitor, and has the same performance as GTX 1070 Ti in games. Awesome build! Did you consider the 32 inch monitor from AOC? Thanks! I certainly did but the Omen went with my gaming chair and I have bough from HP before and am confident in their quality. However the AOC is a great choice!!!!! 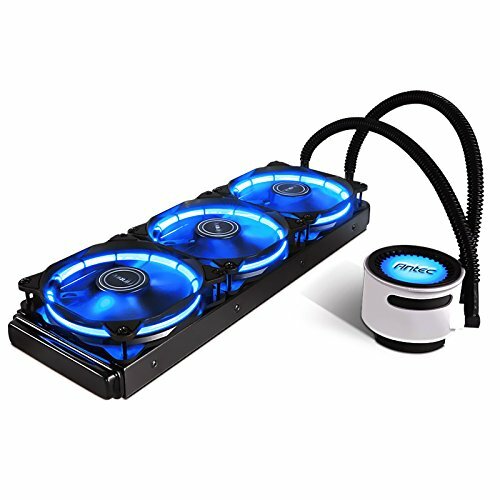 This might be a little late, but i am determined to get the PC O11 and i was wanting to know if the fans were good because i know i would need a lot of fans, but all the good RGB ones are so expensive. 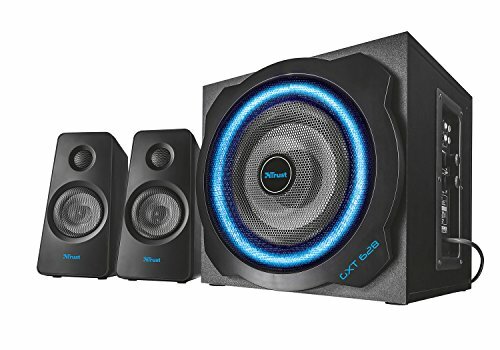 I was wanting to know if they are silent and good RGB functions. And they seem to be addressable from what i can see in the pictures, is that true? imo, would have gotten dual rx580s or a 1080ti even by getting a cheaper case, skimping on the rbg, less fans, hyper 212 and cheaper ram ( but still 2400+). might have even stretched to a ryzen 7 by doing that. i see that wolfenstien, tomb raider and anime on your desktop. legend. People keep telling me SLI is dead so I didn't bother with the X470 otherwise people I know would rage haha. I'm unsure how "dead" SLI is but aparently it is better to get a higher end GPU over two lower end GPUs. It doesn't need exhaust as the PSU and all cables are at the side. Top fans blow out, side fans cool PSU, HDD and SSD and the Bottom are intake! Holly mother of RGB. Looks like a gay parade in there. xD Jk. It looks great. Really nice and flashy but clean. Good work. (；´Д｀) EHHH why so? I paid way under MSRP for it and it's 1440p 32" 75hz. I'm coming from 1080p 24" 30fps on PS4 so to me this is a MASSIVE upgrade (ㆀ˘･з･˘) I still use my PS4 and can see the change big time. I already have a HP Omen 1080p 144hz but opted to not use it or use as a second monitor as I study product design and want screen real-estate and great colour reproduction for my CAD and concept art on top of my games. I am also more into story driven games such as The Witcher 3, Cyberpunk 2077 and Deus Ex: Mankind Divided over competitive CS:GO matches and such. I use it for my Steam chat while playing games such as World of Tanks sorry haha. Though I will take on board your advice and use the lower resolution 144hz when playing in Comp. 300£ for a 1440p, 75hz, 32" monitor is not a bad deal. I have a 144hz 27" and its great for racing games but outside of that I'd rather have a bigger 1440p 75hz monitor. 1440p just looks a lot better especally on 32". 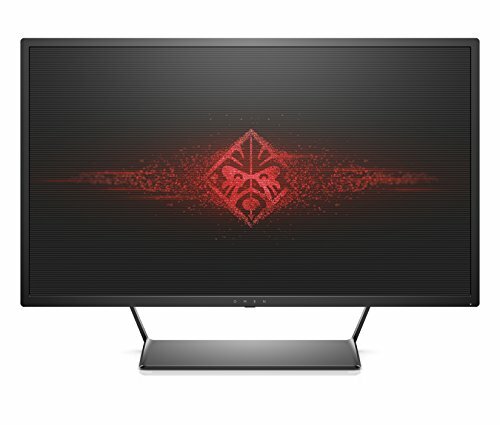 Well if I build another PC I'd just use the other HP Omen 144hz 1080p 24" one I have. Is their any point buying a third monitor? Well... its a good monitor to "waste" 300 on. cough "waste" 280 on. Every little helps. ok when you build a brand new gaming pc to play games on, do u want a monitor the size of a small tv with 5 ms response time? "I study product design and want screen real-estate and great colour reproduction for my CAD and concept art on top of my games." Again, it isn't just for gaming. Depends on a game as well... For FPS games 1 ms is a MUST, but not for single player games that you play to relieve your stress and enjoy. Really? Forums I read said anything over 6ms is not for FPS. Elaborate please. What is there to elaborate ? Slow MS means slow reaction time and 6 ms is quite slow. Professional gaming monitors used in ESPORTS tournaments all have 1 ms response time to provide best and quickest time for players to react. How did this get featured?